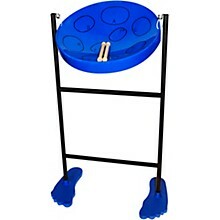 The Jumbie Jam is an authentic steel drum that is fun to play easy to learn. 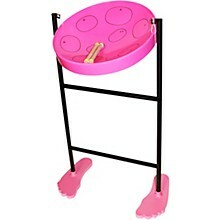 You don't have to know how to read music; the notes on the drum and song books are marked by the note letter. 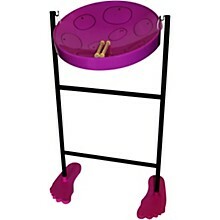 The stand includes a fun feet stand base that matches the color of your pan, creating a spirited look loved by kids and the young at heart. 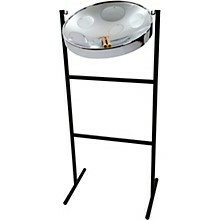 The stand is height-adjustable, supporting all sizes of players. 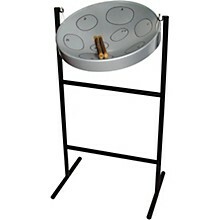 It is also collapsible and fits easily back into the carrying case, making your Steel Drum portable and easy to store. 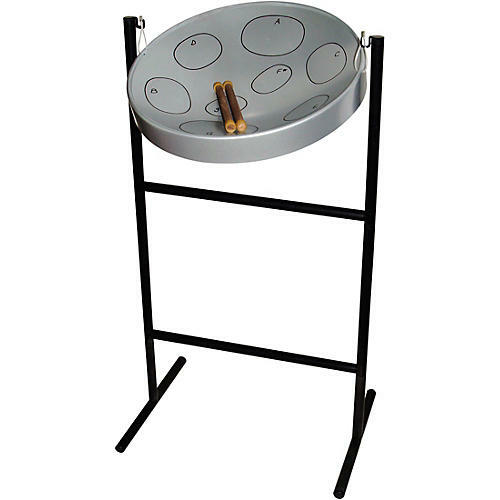 Makes a fantastic gift item. The deluxe kit also includes a Beginners Guide/Song Book with Play-Along-CD containing multiple tracks for each song.